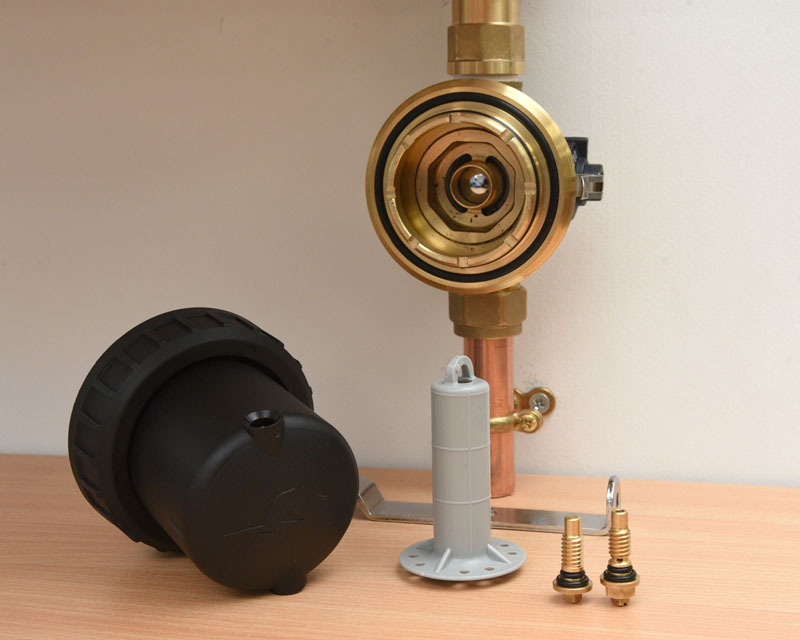 PHPI finds out just how easy Adey’s latest space-saving solution – the MagnaClean Atom – is to install by ‘splitting’ it into a handy step-by-step guide. It’s said that good things come in small packages. 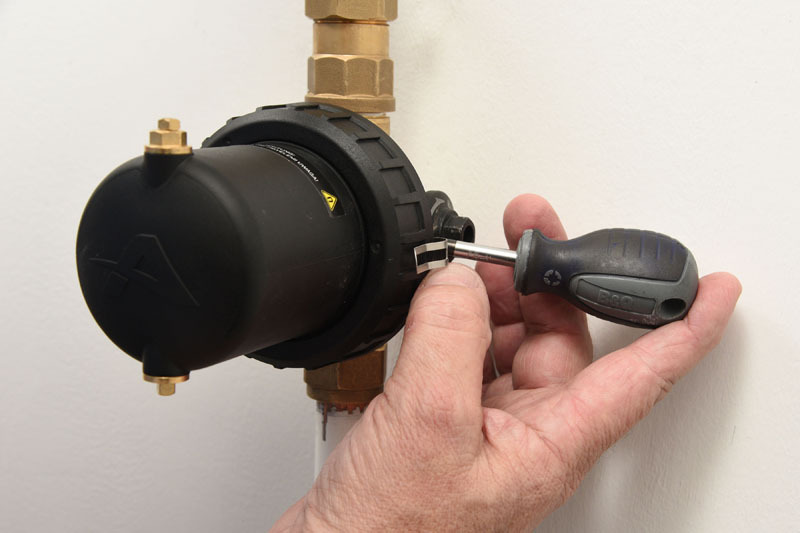 Adey believes that both installers and homeowners will find this to be true with the introduction of the company’s latest magnetic filter, the MagnaClean Atom. A survey by 2,000 people undertaken by YouGov recently found that more than half of respondents (53%) consider a new replacement boiler as the most desirable way to cut down on fuel bills. However, if left unprotected the performance of a new boiler is likely to suffer, especially if it’s fitted to an old system. 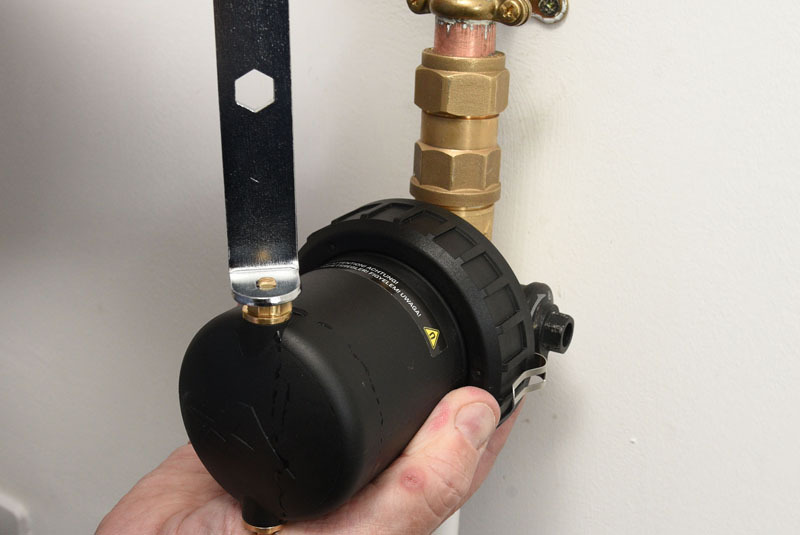 Research by Adey revealed that a lack of space is one of the biggest barriers to protecting a boiler with a magnetic filter, with 47% of installers citing it as a problem. 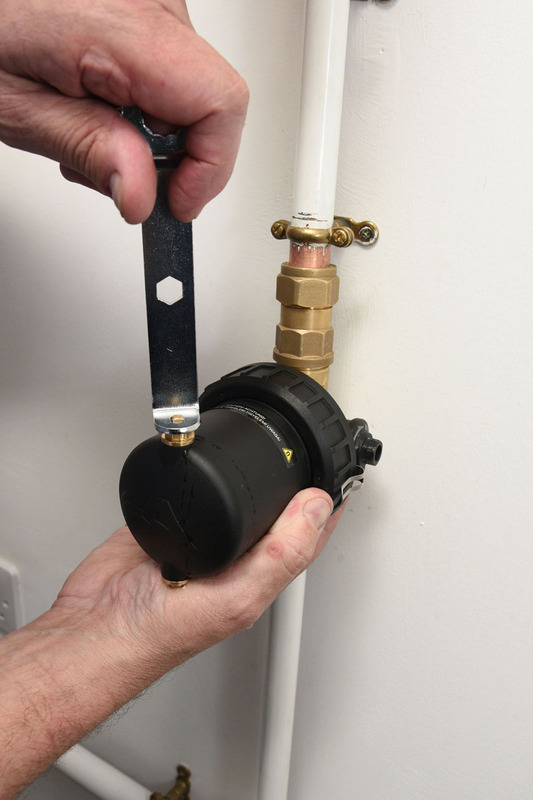 This finding has driven the development of the MagnaClean Atom, extending Adey’s range of magnetic filters to ensure that the efficiency of every household boiler can be protected. The MagnaClean Atom has been designed as a compact space-saving filter, with just 115mm total space needed for installation and servicing. This makes it the ideal solution where space surrounding the boiler is tight, or where homeowners are looking for a discreet solution. For installers, the Atom has been designed for quick and easy installation and servicing, making the job as simple as possible. 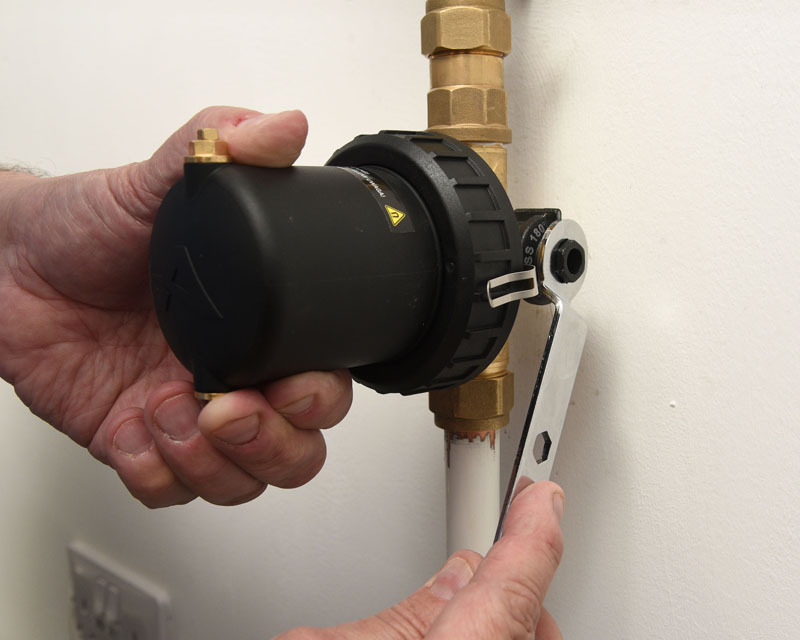 Its slip socket design enables installation in less than two minutes, it can be fitted on 360-degree pipework, be put on to by-pass for easy servicing, and chemical dosing can be done in 20 seconds, according to the company, using Adey’s range of Rapide products. This step-by-step installation guide shows just how simple fitting and maintaining the Atom can be. As with all Adey filters, the MagnaClean Atom should be installed on the return to the boiler after the last radiator. Simply cut out 115mm of pipework and fit the filter using the slip socket provided. The Atom features 360o rotational valves for multiple installation options. In-line valve assembly with filtration and bypass functionality makes installation and servicing easy. Using the spanner provided, turn the two-way valve from filtration mode to bypass mode, as indicated by the arrows marked on the brass body. Using the spanner again, loosen the air vent to release pressure and remove the drain valve. Now undo the air vent. Undo the screw to release the holding mechanism and unscrew the filter grip, before carefully removing the body of the filter. To easily clean the sheath and remove collected magnetite, turn it upside down and remove the sheath from the magnet. To reassemble the filter, make sure it’s properly locked into place. Check the air vent and drain valve are tightened before turning the valve from bypass to filtration mode. Bleed air from the air vent. 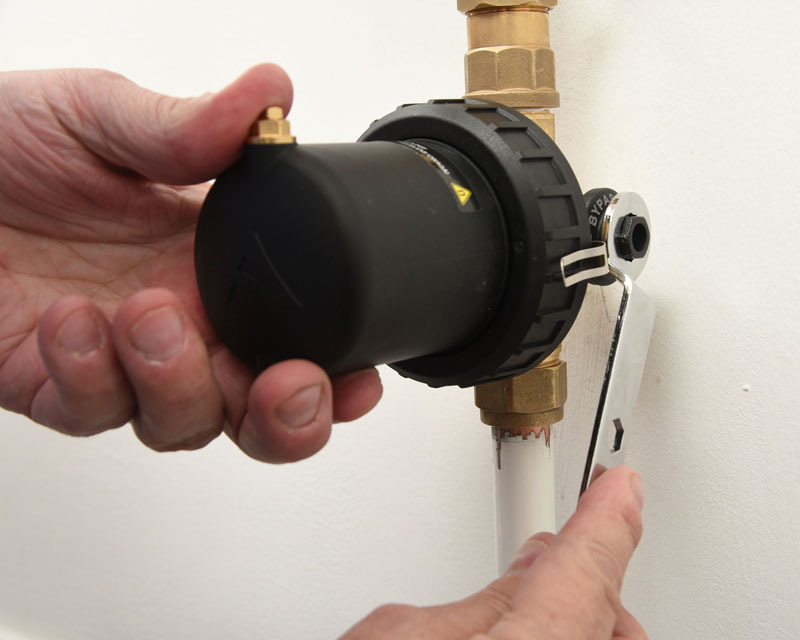 To add chemicals such as Adey’s MC1+ Rapide, switch from filtration to bypass mode. Remove the air vent and attach the Rapide canister adapter. Turn to filtration mode and simply inject the chemical for 20 seconds. Turn from filtration back to bypass mode. Remove the Rapide canister and put into recycling. Put the air vent back in and switch back to filtration mode. Check the air vent to remove surplus air from filter. 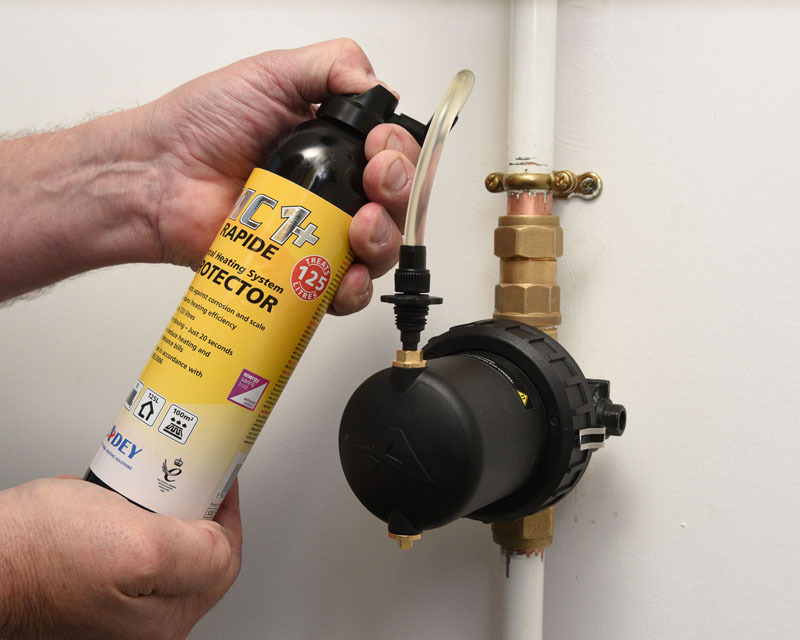 For optimal results, Adey recommends that dirty systems should have a system cleanse carried out before the installation of a MagnaClean filter. Installers should always re-dose the system with MC1+ Rapide after cleansing or maintenance.